My goal is that your Petable Portrait brings you the same love and joy as your pet itself! I’ve been drawing and painting since I was old enough to hold a pencil and make a mess. 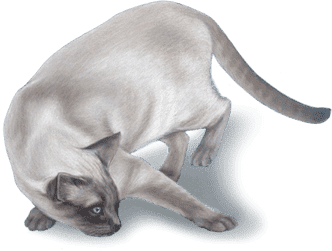 Some of my earliest subjects were animals—an owl in 3rd grade, little chicks in 4th, and my sleepy cat, Casper, who was my first pet portrait at age 12. Next came the horse stage, and so on. My parents still have boxes full of my animal sketchbooks! The ability to translate what I see into a painting or drawing is a talent I feel lucky to have. I’m happy to share it and bring my clients a little joy and beauty mixed together. 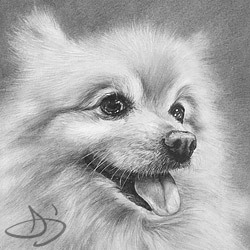 Sometimes clients tell me they talk to the drawing I did of their deceased pet. That’s the best because I know I have done my job well—to give you something so real you’ll relive that memory or feeling every time you look at it. I try to make commissioning an artwork as simple and easy for you as possible. 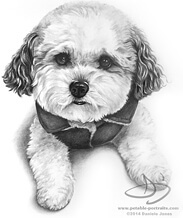 Contact me here to inquire about a portrait of your furry loved one. 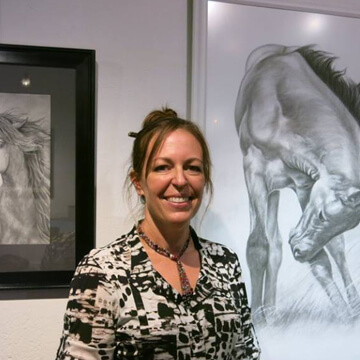 I received my degree in Fine Art from Fort Hays State University in Kansas in 1993, and I’m honored that my award-winning art is now collected throughout the U.S. You can see more of my art at Gallery320. I also work with Joe Camblin at Jozee Designs where I am a graphic designer and illustrator. Joe and I have created a wide variety of websites, printed material and other interesting design projects for our clients. See our website, logos and other graphic design examples at Jozee Designs. Big ‘thank you’ to my parents (for always supporting my art habit while I was growing up). RIP Mom. And I’d especially like to thank Joe, who thought of the excellent name ‘Petable Portraits’, the beautiful design of this site, and over one billion other things without which my life wouldn’t be nearly as wonderful! I hope you feel like you know me a little better now. 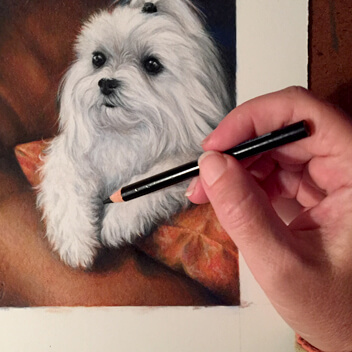 I assure you that your furry family members are safe with me and that I’ll make a very special pet portrait for you! 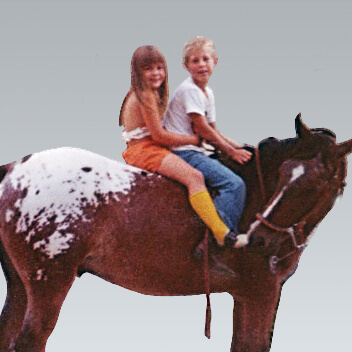 I drew the horse on the left around age seven. The two on the right are a little more recent. I hadn't seen the childhood drawing in ages and I had to laugh when I realized the similarities.